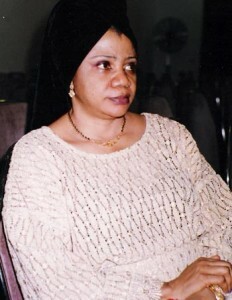 Catherine Acholonu-Olumba (1951-2014 ) was from Orlu in Nigeria and well known as a writer(d), researcher and former lecturer on African Cultural and Gender Studies. She was a frequent contributor to the migration-diffusion website(b). In a recent paper(a) she proposed “that ancient West Africans nurtured a high civilization that was an off-shoot of the fall of Atlantis and the migrations of its peoples in search of new lands.” She also maintained that the West African Igbo language was, in earlier times, a global lingus franca. Acholonu was one of the authors of They Lived Before Adam: Pre-Historic Origins of the Igbo which includes some rather wild Igbo-centric claims.